Communication Arts Photo Annual Winner! It was almost two months ago that I received an email from Communication Arts magazine to let me know that one of my images was selected to be included in their Photo Annual issue. It was a little hard to believe since this was just the first time I've ever submitted images to the contest; however, it has become very real in the last week as the issue landed in my mailbox, and yesterday when I received the trophy. 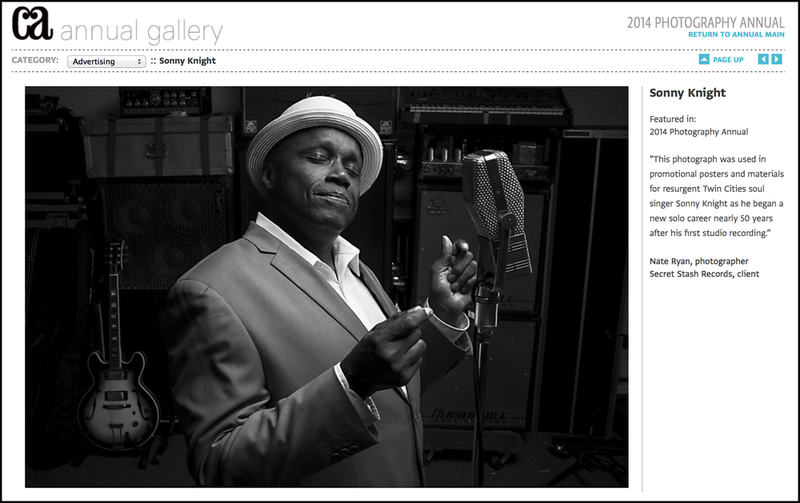 The photo included is a portrait of Sonny Knight that was shot for promo posters, and was included in the Advertising category of the contest. You can find the photo on page 94 of the July/August 2014 issue of Communication Arts, or at CommArts.com.